Over 20 years, Brickwerx Construction, Inc. has been providing beautiful brick and concrete work in Suffolk County. We take great pride in our excellent work, attention to detail and satisfied customers on each and every project! We pride ourselves on our craftsmanship and back up our promise with a guarantee. Fine masonry, built to last. Done right, the first time. Give us a call. Red Oak Landscaping is a premier landscape and construction company that creates custom outdoor living environments for residential and commercial clients in northern NJ. We specialize in pavers, retaining walls, steps, stonework, patios, waterfalls, masonry, driveways, pools & ponds and lawn care. We take great pride in every job we do, knowing that our design, craftsmanship and execution will be above and beyond our customers’ expectations. Dan Szapka, President of Red Oak Landscaping, founded the company in 2003. After graduating from West Virginia University, Dan’s goal was to successfully own and operate a company where he could use his creativity and ambition to create beautiful lasting landscapes. Dan and his crews take pride in every job or service they perform. Red Oak is known for its personal service and elite craftsmanship. With each individual task, we value the bond we form with our customers, taking their ideas and turning them into reality. We are your one stop shop for New Concrete, Concrete restoration, Stone Pavers, Decorative block walls, Specialty water pond scapes, Asphalt paving, and Energy efficient ICF construction. All of our work is performed in house. “”No sub contractors”” Our reputation is excellent! Our workmanship is superior! Our commitment is to you and your special project!! 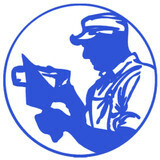 Wespro, Ltd Concrete Innovations, a division of Wespro, Ltd, is based in Wethersfield, CT. Since 1979 we have provided Excellent service throughout the community and the State of Connecticut. CT. You should ALWAYS do a background check before hiring a contractor. You are important to us and we will make sure your special project is handled as though it was our own. After all, It Really Is! Our reputation supersedes the industry. What’s better than the rating from the State of Connecticut Dept of Consumer protection. Our client base includes Town’s, commercial establishments and our residential base of customers. Since 1995, our locally made and nationally backed products have transformed thousands of residential and commercial properties across North America. Every day, our network of trained and certified dealers helps customers to envision their creative journey and realize their outdoor dreams. We exist for one purpose: to make outside your kind of beautiful. This goes beyond turning creativity and craftsmanship into lasting outdoor spaces. 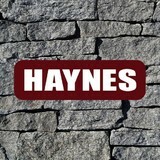 It means bringing your custom hardscape designs to life, together. Because with Belgard, you get more than just beautiful customized paver products, you get a partner to help you every step of the way. Landscape Solutions & Maintenance is a family-owned and operated landscaping and hardscaping company committed to bringing out the best in our client’s property. Based in New Hartford, CT, we combine years of experience, high standards, and quality materials to create a yard with tremendous curb appeal – all at a competitive price. We’ve built our firm into one of the leading residential and commercial landscape and hardscape design companies in Hartford County by offering complete lawn care services, paying attention to detail, and delivering a final product that perfectly meets our client’s vision. From lush green lawns and flowering gardens, to stone walkways and outdoor fire pits, Landscape Solutions & Maintenance finishes the job on time, on budget, and to our client’s satisfaction.